What are the physics of dying? Your heart stopping, old age, stroke, cancer. A tragic accident – being burned, murdered….The list is endless. But does the physics relate just to the first person or is it also to do with how death affects those around us and related to us. I had cause to dwell on this last week when at two thirty in the morning I witnessed two dogs savage a cat in our neighbours front garden. I think I’m still suffering a mild case of PTSD, normally if you yell at a dog rummaging through your bins it will run off… but as much as I screamed and yelled at these two animals from the bedroom window, they were possessed of an age old need to kill and I was powerless to prevent it and one wonders what were the physics behind their need to attack this cat. So to this month’s book. If you were presented with a book titled The Abrupt Physics of Dying, what would your first impressions be? Is it a self help guide to dealing with grief or a medical text book? Would you think it was a thriller? 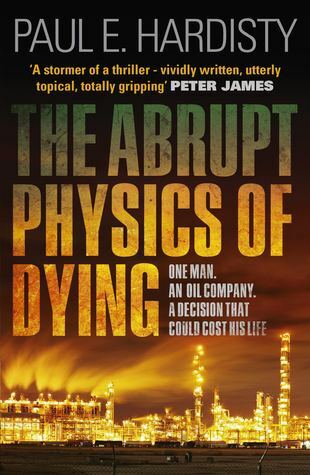 This is the title of Paul E. Hardisty’s debut novel – The Abrupt Physics of Dying. Published by Orenda Books (www.orendabooks.co.uk), in December 2014 as an eBook and as a paperback in March 2015, its set in Yemen. Claymore Straker is an engineer for Petro-Tex, an oil company who have a number drilling operations in the country. One day he and his driver are kidnapped by Islamic terrorists. They tell Clay their children are being poisoned by something in the water supply which they believe is originating from Petro-tex’s operations. They force Clay to prove to his bosses that the mysterious illness afflicting their families is their fault otherwise his driver and friend Abdulkader will be killed. Clay discovers there is something in the water but when he tries to convince his bosses, samples get lost. He witnesses the company’s head of security murdering an innocent tribal leader and his elders. All the while the political situation in Yemen starts to crumble and the country nears the precipice of civil war. To try and stop the poisoning and prove to the world that Petro-Tex are involved the cover up of an environmental disaster, he must go on the run from his bosses, the government and other shadowy individuals. Along the way he enlists the help of a French Journalist Rania LaTour. Will Clay and Rania get out of Yemen alive , while saving the innocents? The first thing that occurred to me when I was reading the opening chapters was, Claymore Straker is trying to be Jack Reacher, or at least a half decent copy. The only differences between Paul and Lee is about seventeen books, eighteen if you include Reacher’s latest adventure “Make Me” which is published in September [rubs hands gleefully]. As well as a couple of million in Child’s bank balance, while Claymore has a passport and owns a company. But this isn’t a bad thing, because Lee can only write so fast and in trying to feed the veracious appetite of his fans, it helps to have another author who can sustain the Reacherites and Reacherettes while his films and books are being produced. The book is a big read at four hundred and forty pages, and makes it an ideal sun lounger or long haul companion. While I did feel it dragged in parts, the story is gritty, action packed and topical. Paul’s background as a Hydrologist and engineer comes out in the scientific detail and his experiences from working in various parts of the world including Yemen flow off the page and you can feel the desert heat and the sand swirl around you. This is Paul’s first work of fiction, in the past he’s written a number of educational books including “The Economics of Groundwater Protection and Remediation” (2004) as well as co written numerous other scholarly papers and reports. Canadian by birth, he has worked all over the world in the area of hydrology and environmental science. His life reads like a fictional character. He worked on oil rigs in Texas, searched for gold in the Arctic, befriended PKK rebels in turkey, rehabilitated wells in Africa and survived a bomb blast in the Yemeni capital of Sanaa in 1993. 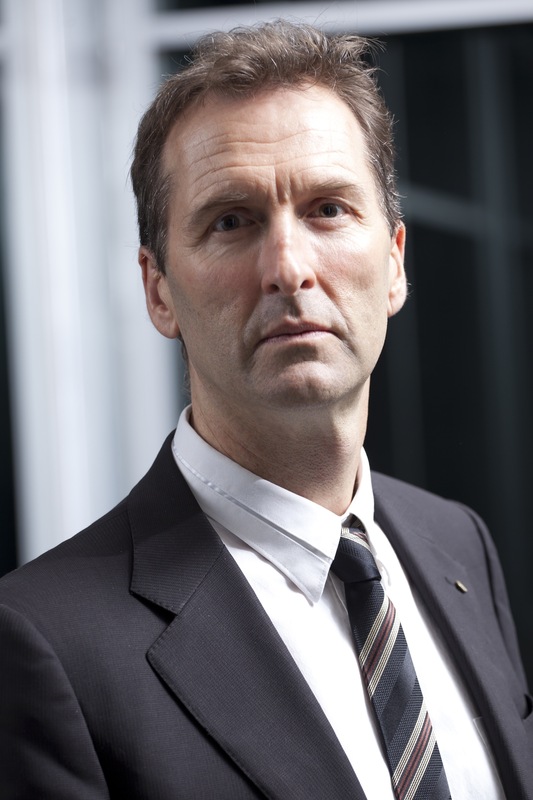 He’s a visiting professor at Imperial College London and director of Australia’s national land, water, ecosystems and climate adaptation research programmes. Not to mention a sailor, private pilot and outdoorsman, who lives in Australia. Harrison Ford and Bear Grylls can all now leave the building. Another thing that makes this book standout as a great read is the use of Arabic throughout the whole story. Other books will have a minor sprinkling of the local dialect throughout just to give you a taste. In Hardisty’s book you are immersed in the language and Yemeni culture on every page, just when you think you might need a translator, he neatly stitches the translation into the sentence so that after a while you never even notice. So if you’re looking for a great read to fill the gap between the next Reacher installment in September and your two weeks in the sun. Pack this in your travel bag, dig out your desert boots, water canteen and factor 50 and prepare to be wowed by a new kid on the block. Then when you’re finished, prepare for the next Claymore Straker novel in 2016 courtesy of the first chapter of “Evolution of Fear” at the back of the book.